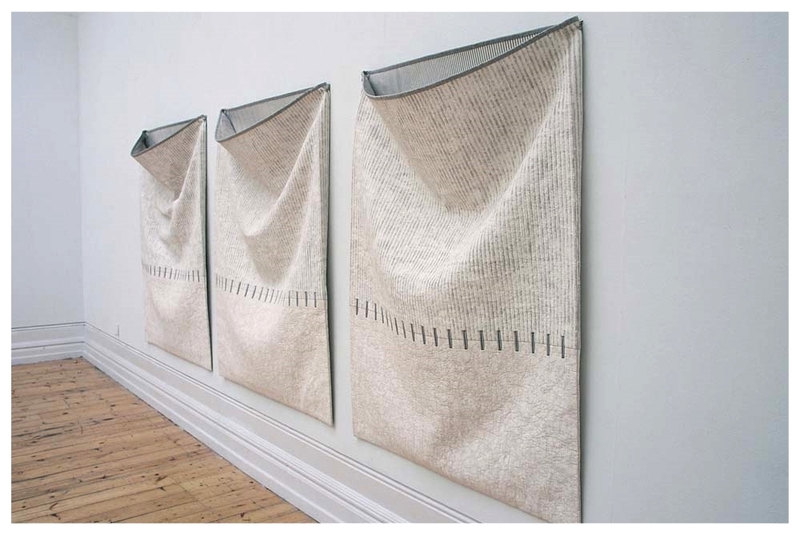 Initially emerging out of a period of speculative studio enquiry in the late 1990s, the gesso encrusted cloth constructed, ‘bag’ form (together with its corresponding buttonhole motif) subsequently developed as a methodological strategy and signatory practice. 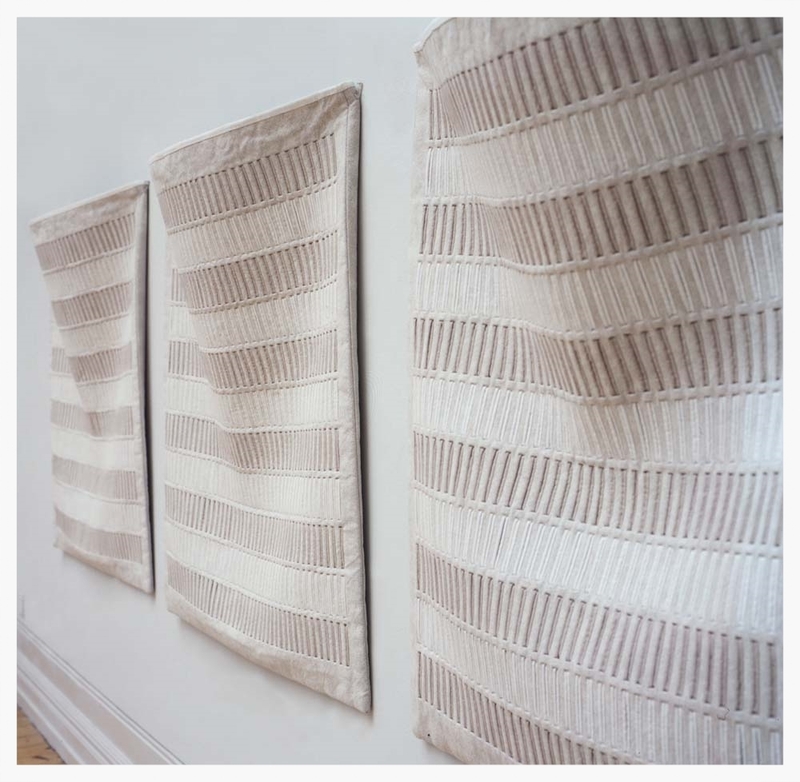 Sustaining a period of visual and theoretical research over a number of years, the ‘bag’ format provided a constant through which to explore relationships between the surface, planar, and object conventions of textile and those of painting. 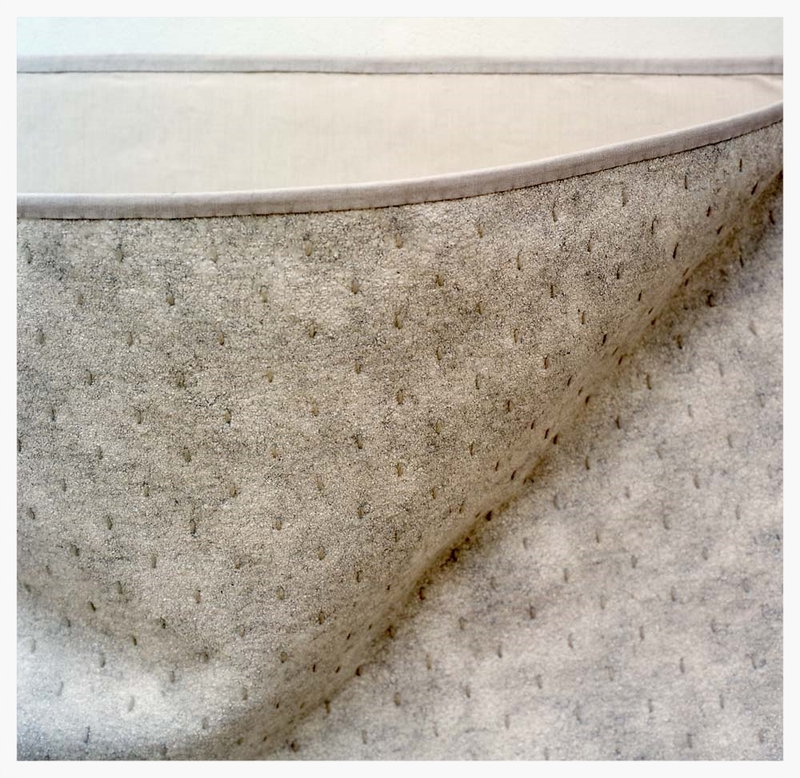 The ensuing bodies of work provided an opportunity to both establish my own personal visual language and to interrogate the traditions and discursive contexts of both these codes of practice together with their corresponding definitions of meaning. 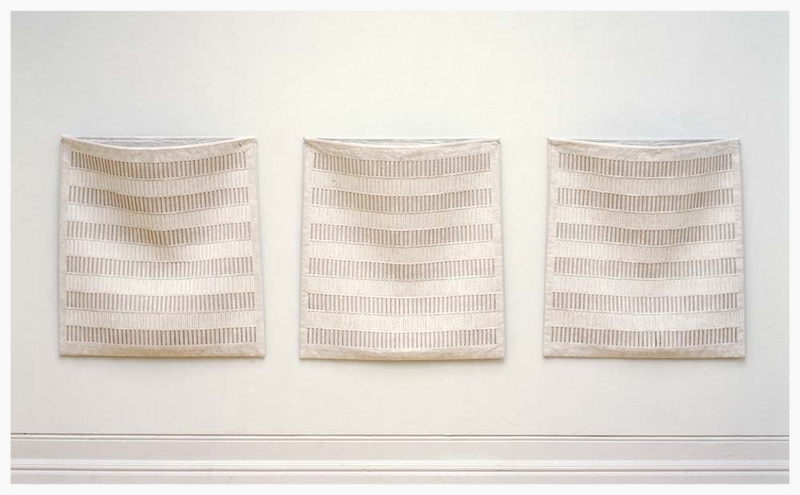 With their rectilinear form, planar frontality, yet evident material objecthood, these cloth-constructed, gessoed forms occupy a hybrid state between utilitarian textile object, sculpture, and painting, and as such find a critical framework in many of the debates surrounding painting and sculpture in the 1960’s and 70’s. 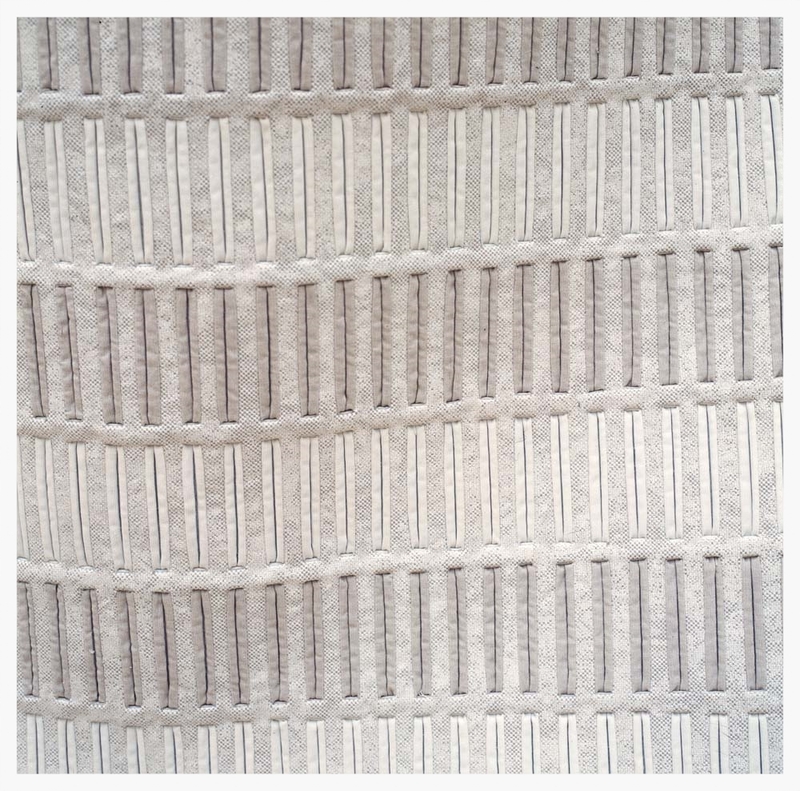 Referencing what Robert Hughes described as ‘the seriality, repetition and exalted emotional silence that was the mark of a certain phase of American modernism,’* the work strategically adopts a formally autonomous minimalist aesthetic and in a way re-enacts the silencing of the subjective narratives that surround textile production. The intention, however, is that through this silencing the expressive potential of the materials and processes become all the more resonant. 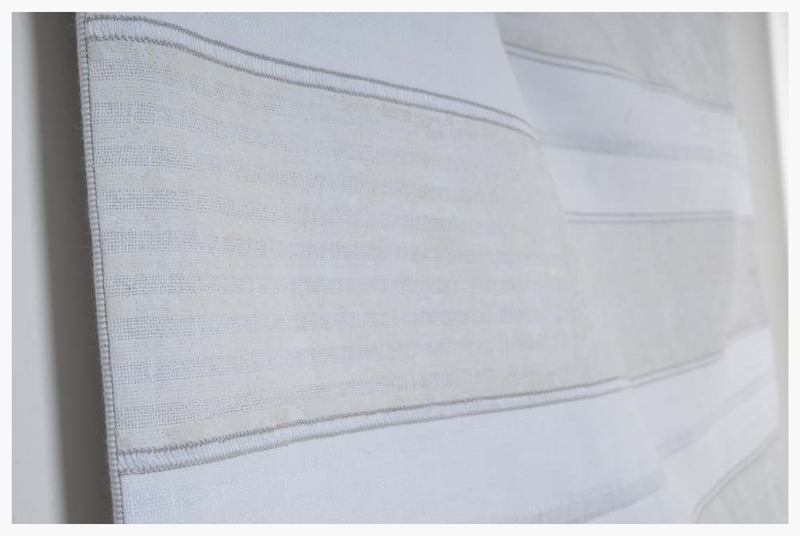 Whilst the work consciously assumes a level of detachment, any attempt at objectivity is continually disrupted by the somatic sensuality and symbolic potency of cloth and by the social and historical connotations of the textile processes employed in its production. Bristow, M. (1998) 3 Weeks to Turn 348, three years to turn intuition towards understanding. In: Johnson, P. ed. Ideas in the making: practice in theory. 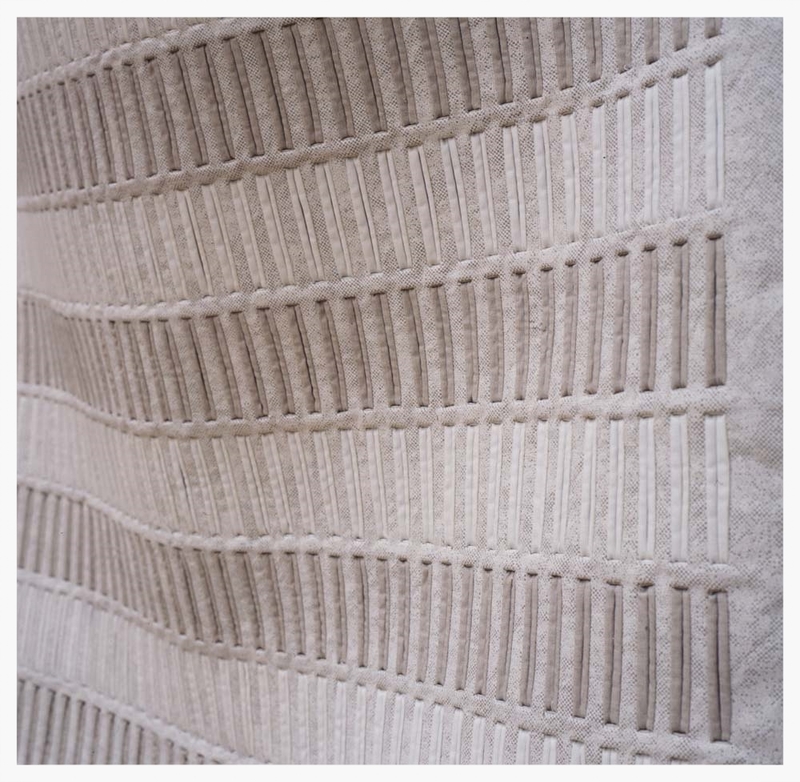 London: Crafts Council. Bristow, M (2010) Reflection on the development of the ‘bag’ and buttonhole pieces in relation to proposed new work: ‘(re) drawn thread/line 0110/1210’. Unpublished manuscript.